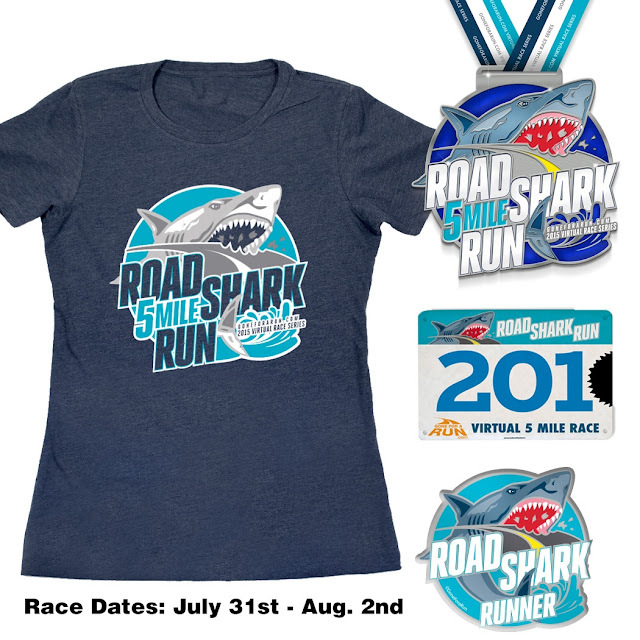 Road Runner Girl: Road Shark Run Virtual 5 Mile Race! 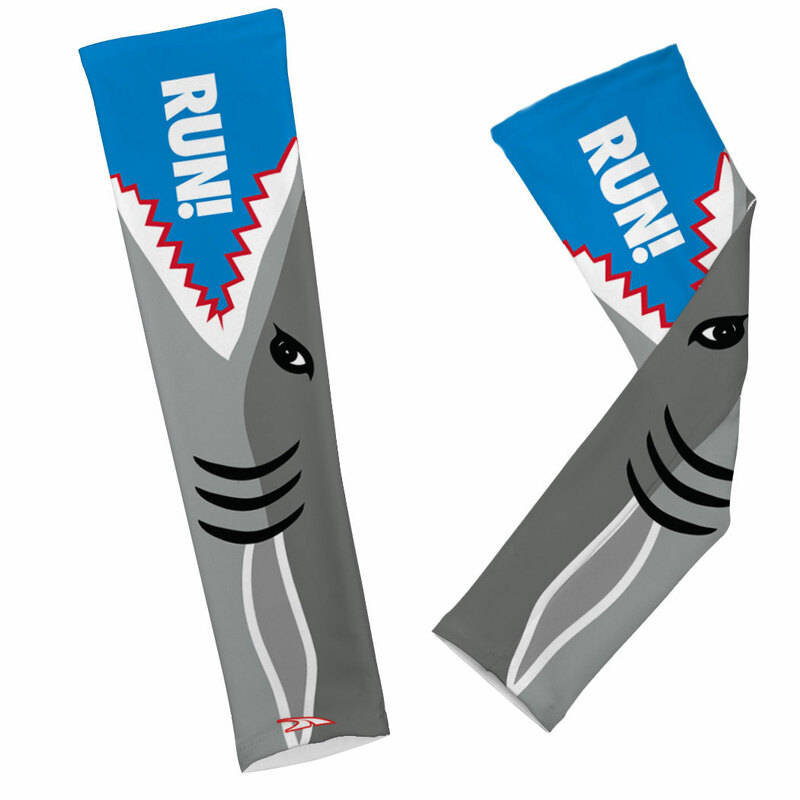 Road Shark Run Virtual 5 Mile Race! Disclaimer: As a Gone For a Run ambassador I was given a complimentary race entry. No other compensation was received. All opinions are mine alone. If you haven't done one of the virtual races by GoneForARun.com then you are missing out! They are so much fun and the race swag is awesome! The next race I'm participating in is the Road Shark Run!!! This race is a 5 mile virtual race. The race will be held July 31st- August 2nd. The great thing about a virtual race...you can run it anywhere and at any time! It just has to be during those dates. And you can pick your own course to run! Pretty sweet! And we all want to know about the race swag right? Included in your entry fee is a race bib (no printed ones...these are on the same paper as the bibs at real races), a car magnet, a shirt, and a medal! 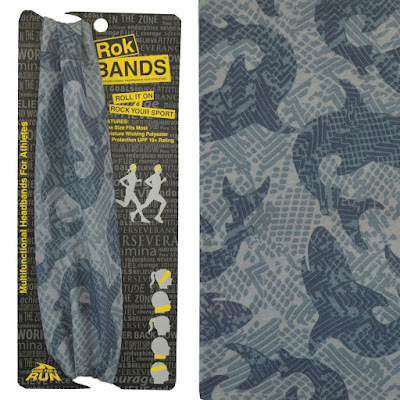 They also have some race packet add-ons. 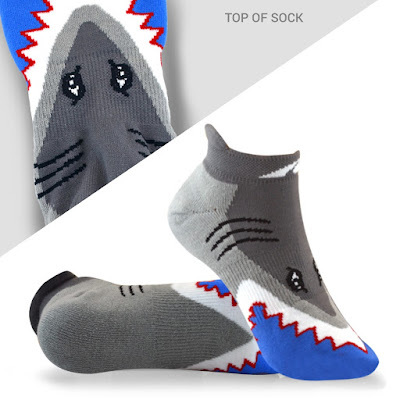 For $5.00 more you can add a Pair of Shark Attack Woven Socrates Performance Socks. 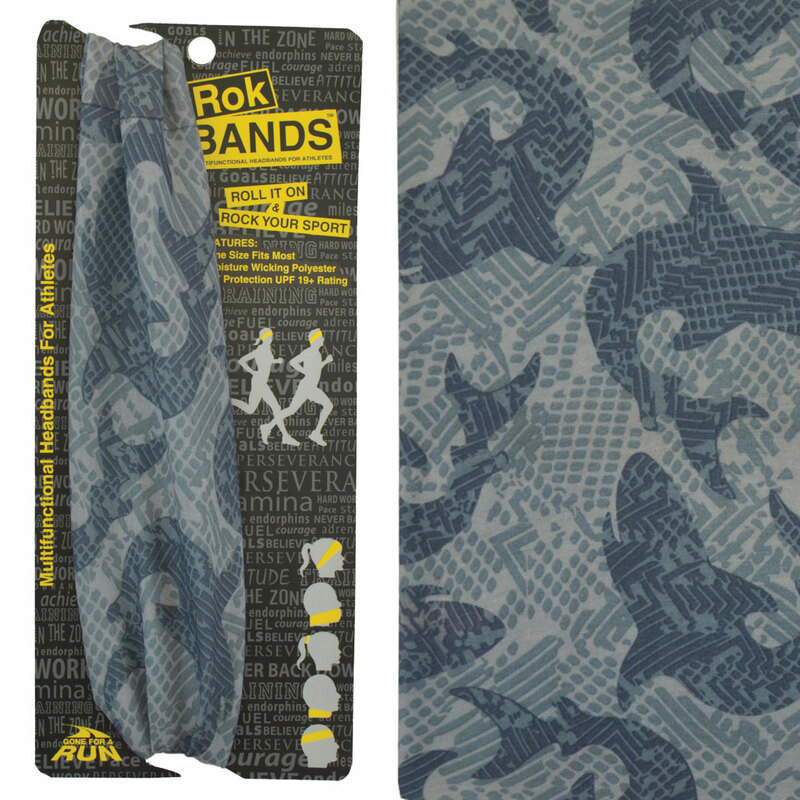 For $5.00 more you can add a Shark Waters Original RokBAND Multi-Functional Headband. You must register by July 21st in order to receive your race packet in time! Basic registration is $32.00. Add the appropriate amount for any of the add-ons! Once you complete your race...share it with the world! Post it on the GoneForARun Facebook page! This is going to be such a fun race to run for summer!!! I'm hoping to get some friends to sign up and join me! I hope you do too! Be sure to share your race experience on Twitter and Instagram with the hashtag #roadshark5! QOTD: Who is joining me and running this virtual race? Dr. Cool Cooling Shirt Review! Gulf Coast Half Marathon Training...Week 2! Gulf Coast Half Marathon Training...Week 1! All 4 Run Virtual 4 Mile Race Recap! 5 Hot and Humid Miles!